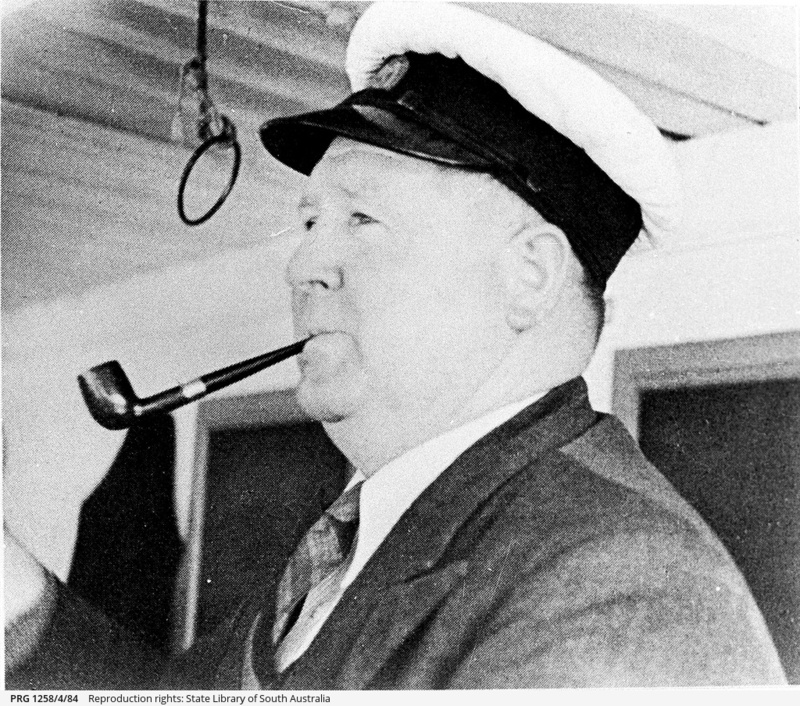 Head and shoulders profile of Captain Lance McLean, pipe in mouth, at the wheel of a paddle steamer. In 'The Marion story', p.92, Harry Godson lists many 'Marion' captains, including George McLean (1909), Hugh McLean, and Lance McLean (dates not provided). Another view of Captain Lance McLean (or possibly Captain Hugh McLean) standing at the rails of 'Marion', is at PRG 1258/1/2171.